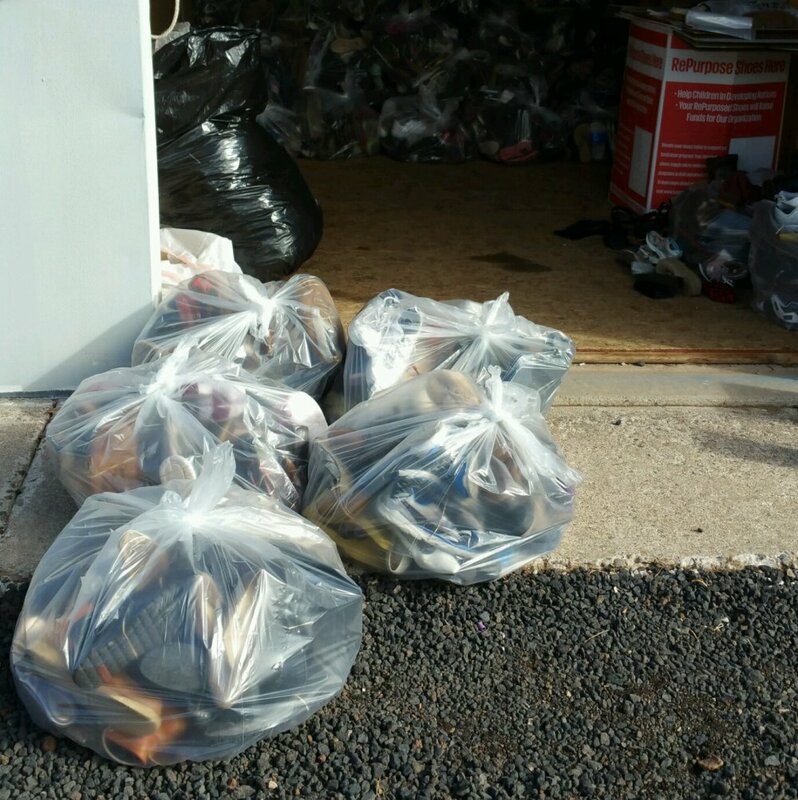 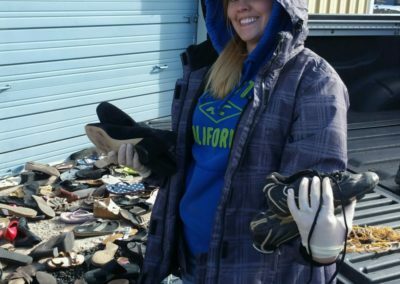 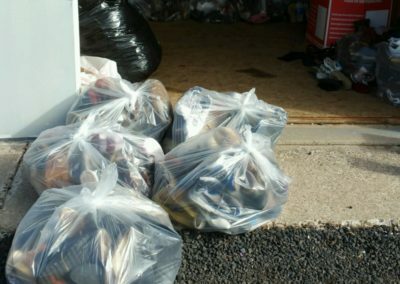 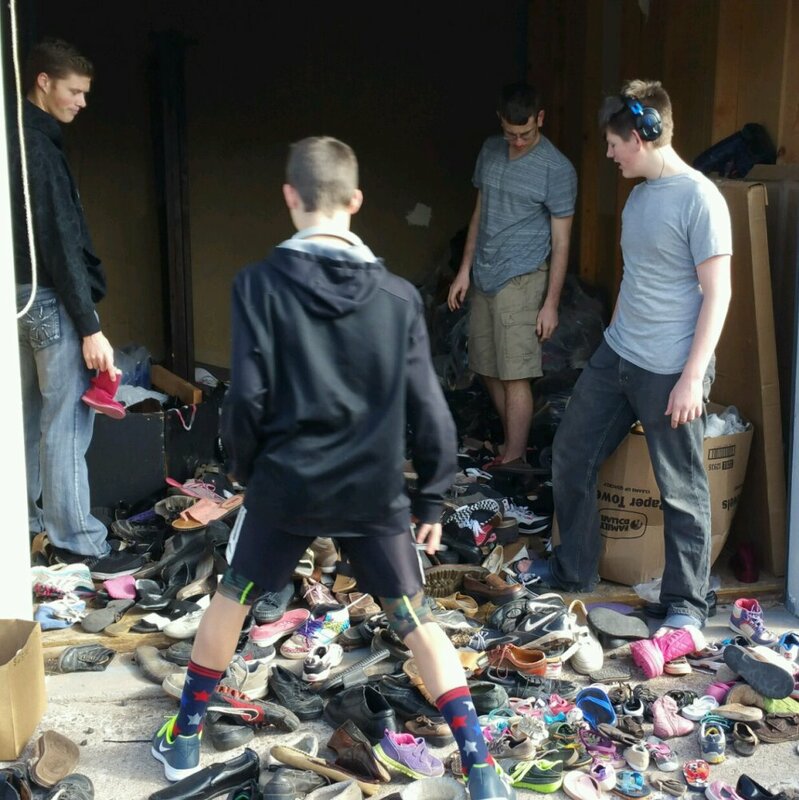 Shoes collected are used to start and maintain micro enterprises in developing nations. 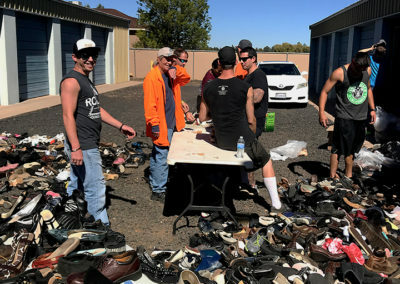 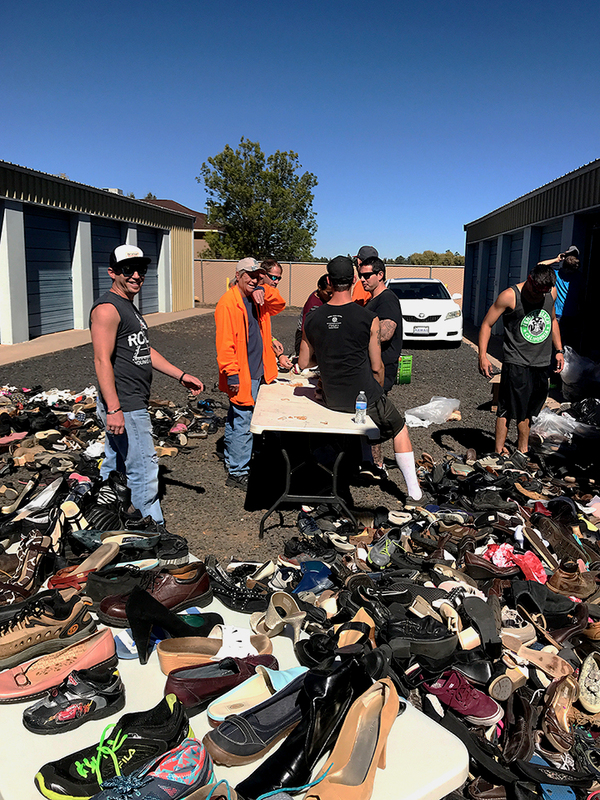 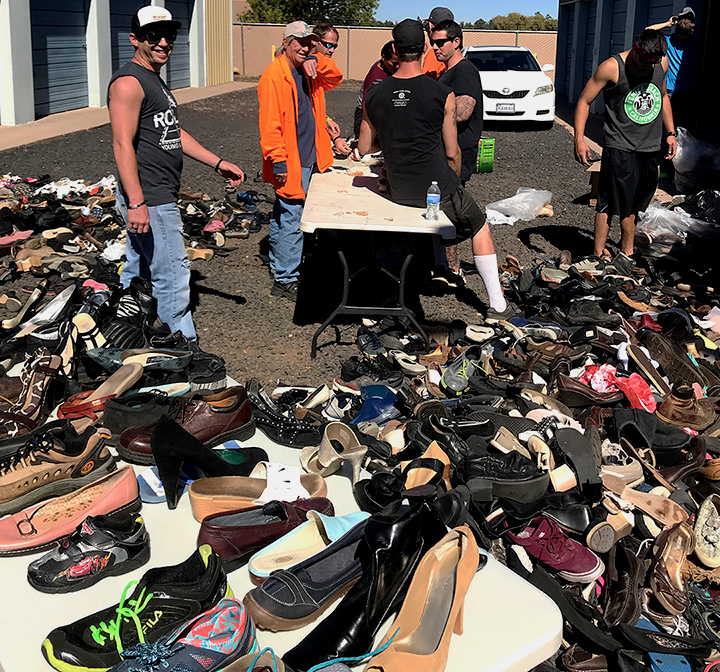 Individuals re-purpose and sell used and new shoes, offering financial support and sustainability for themselves and their families. 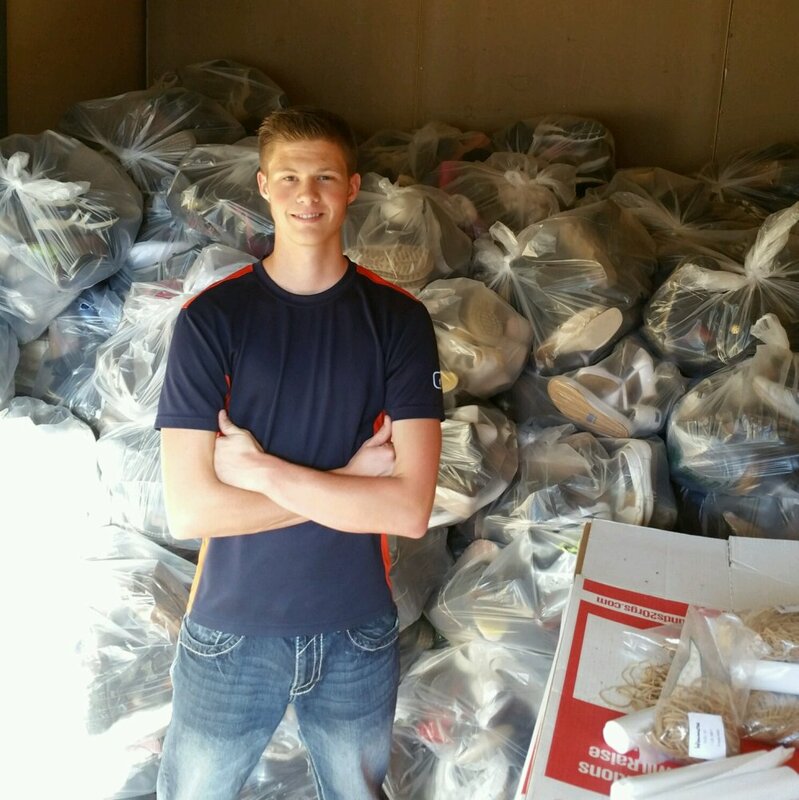 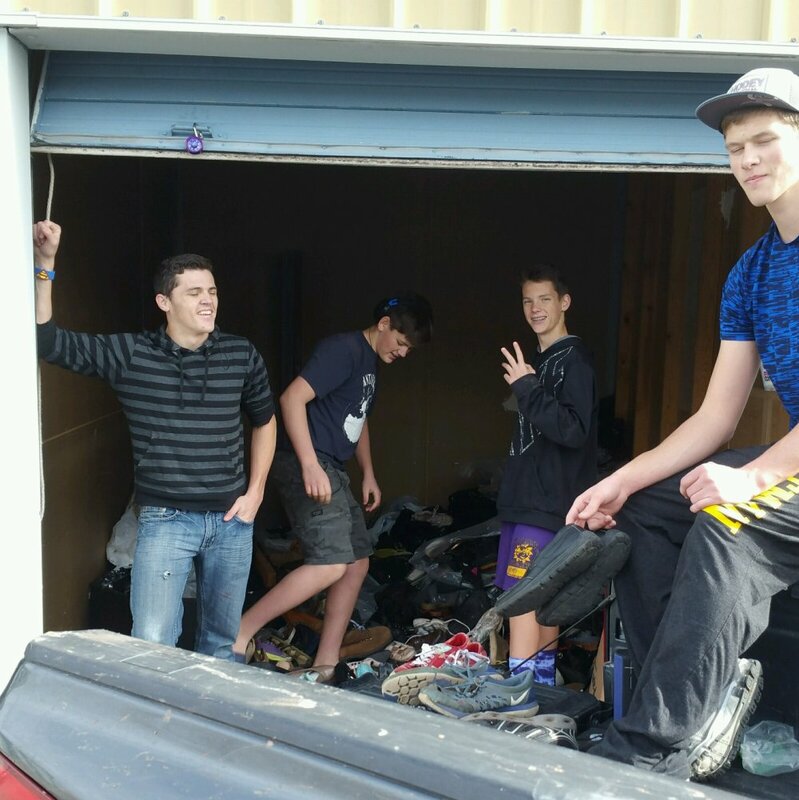 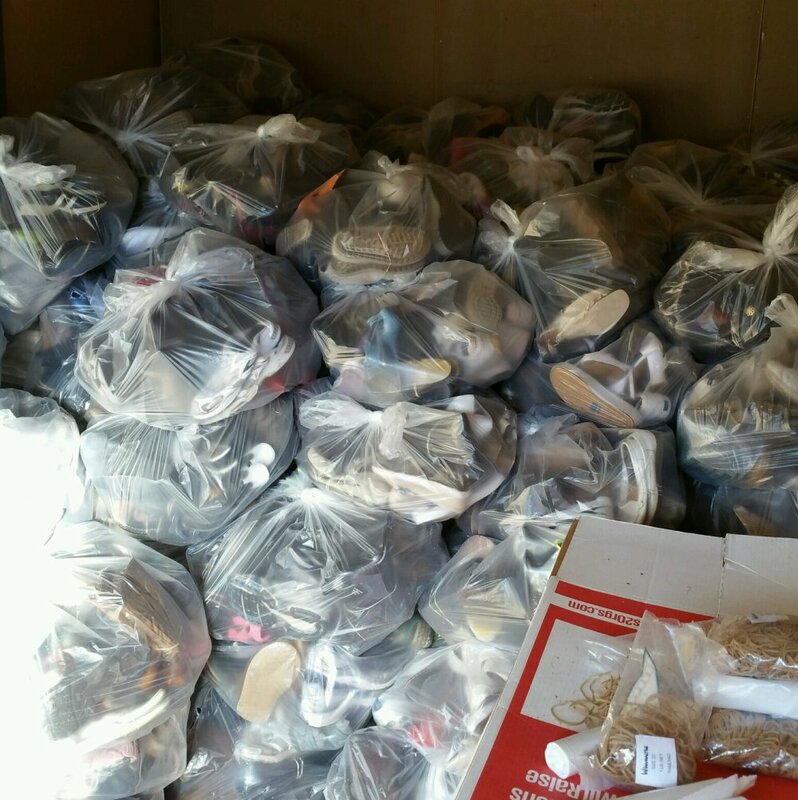 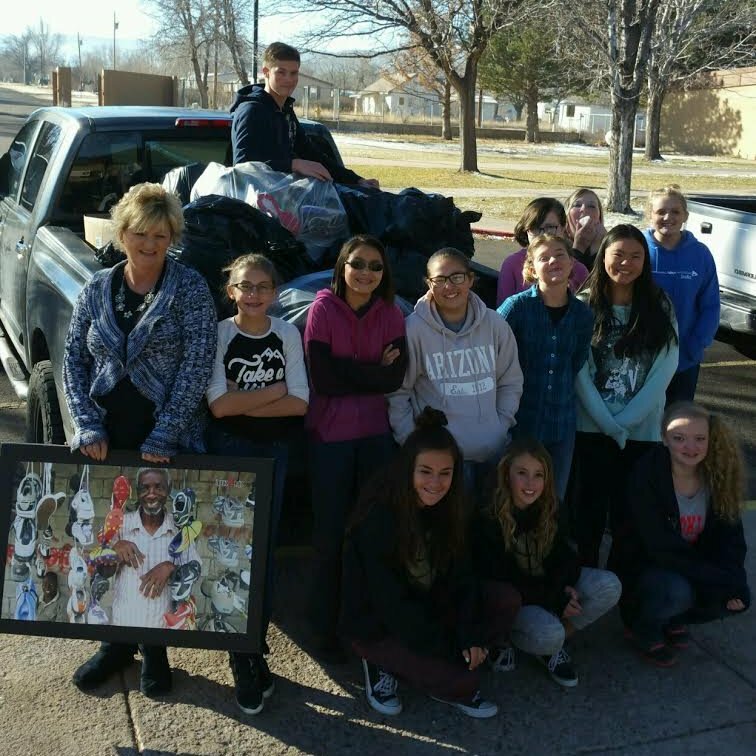 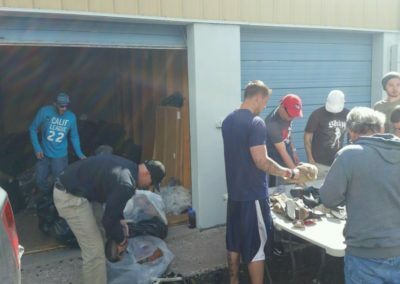 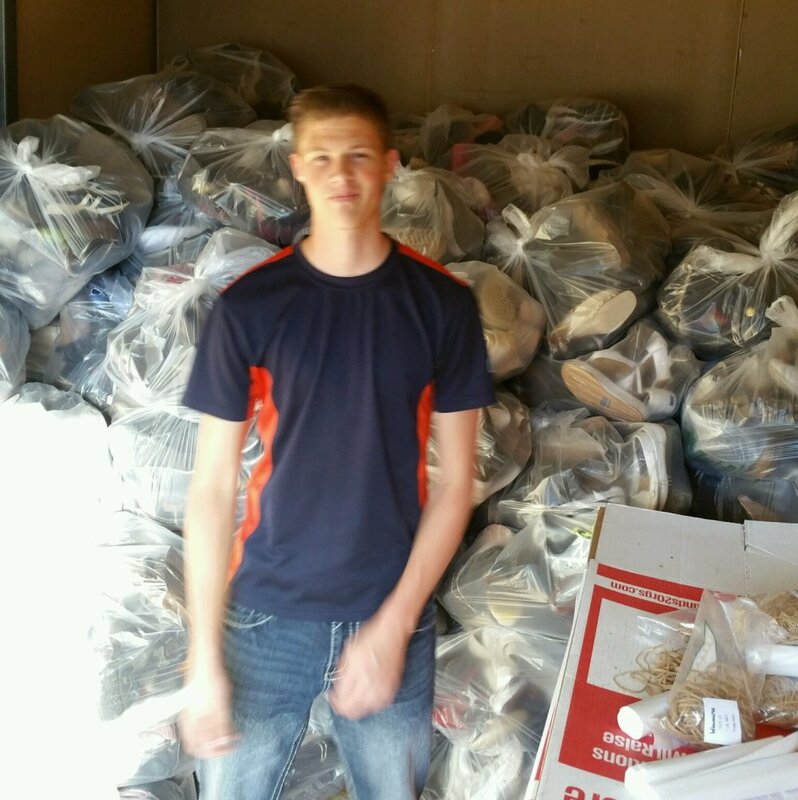 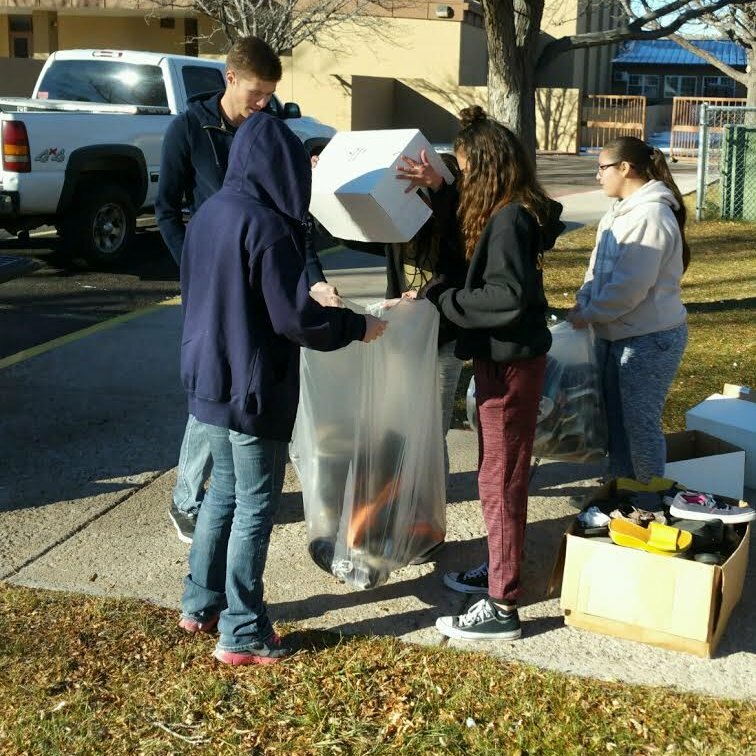 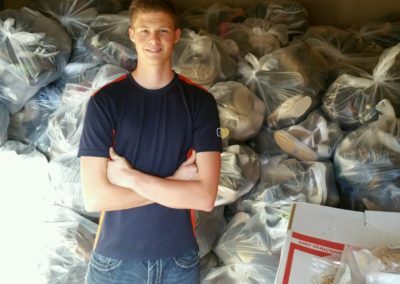 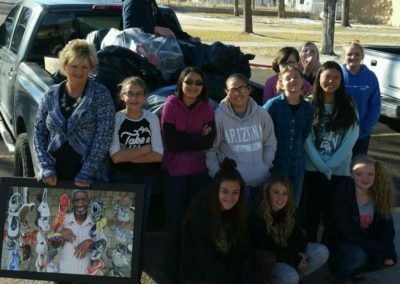 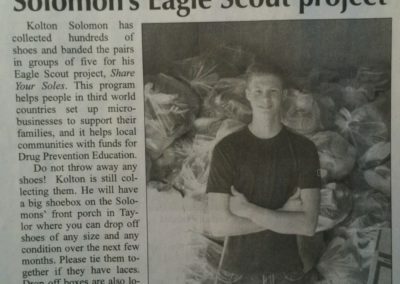 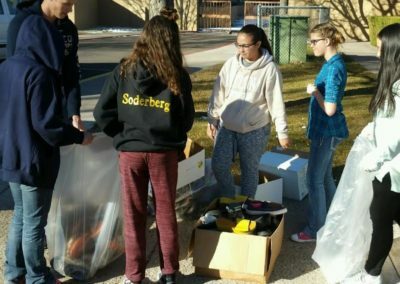 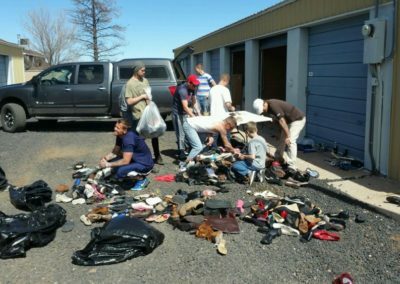 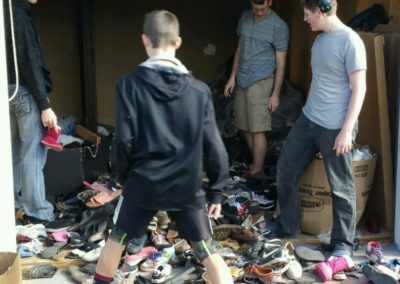 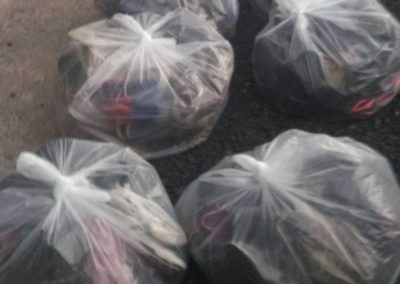 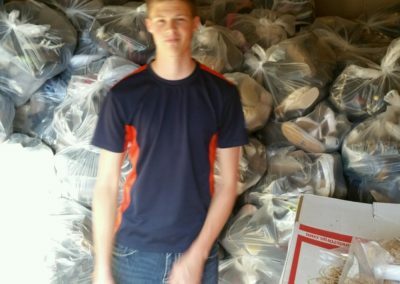 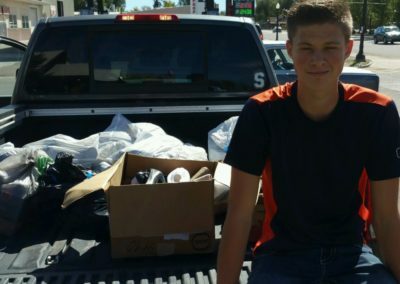 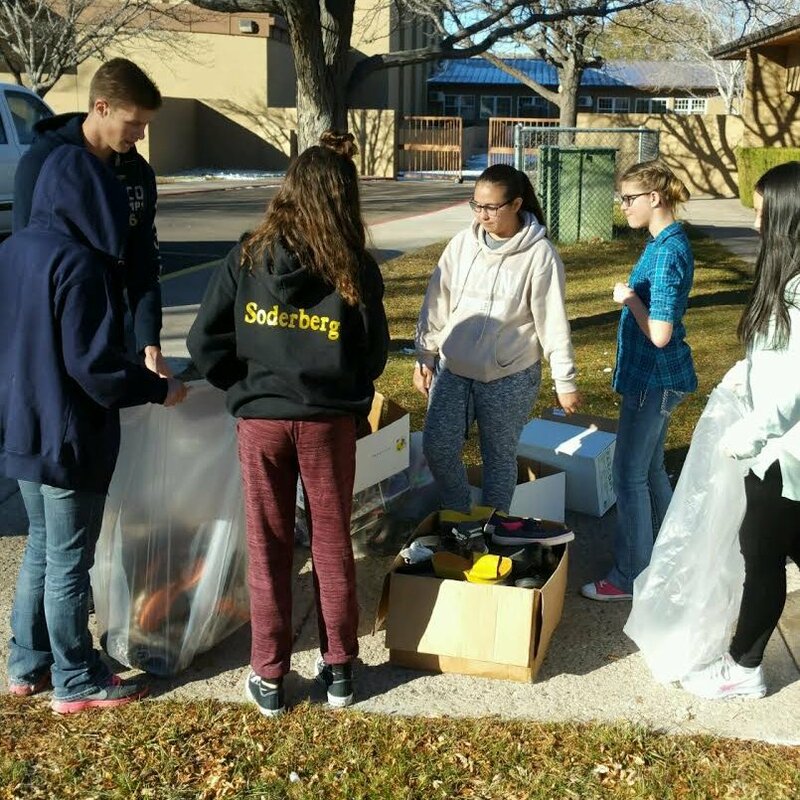 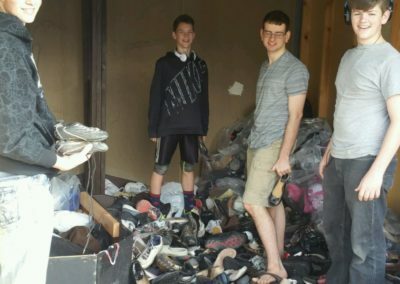 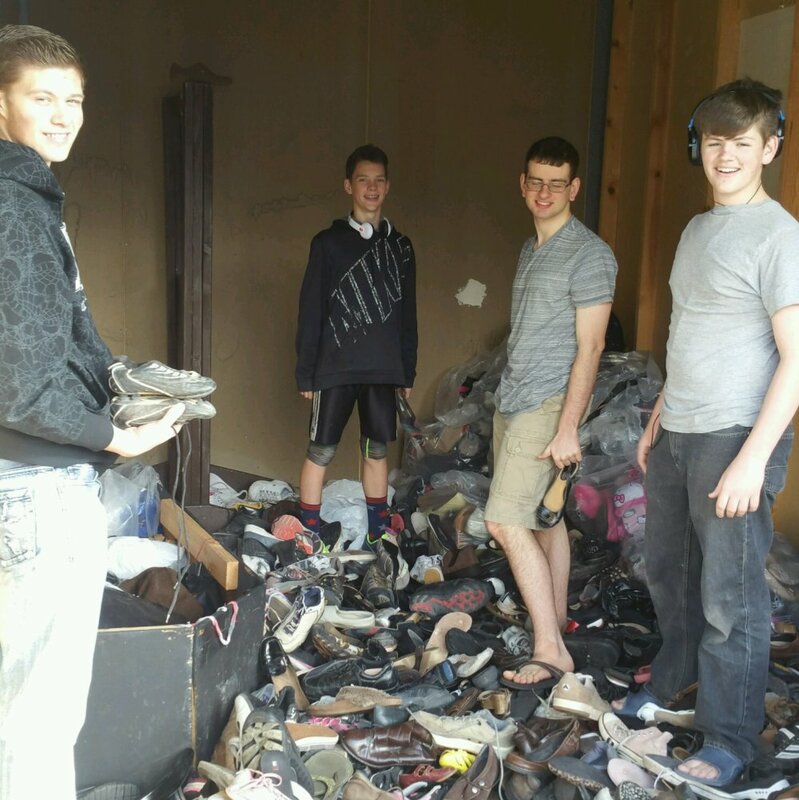 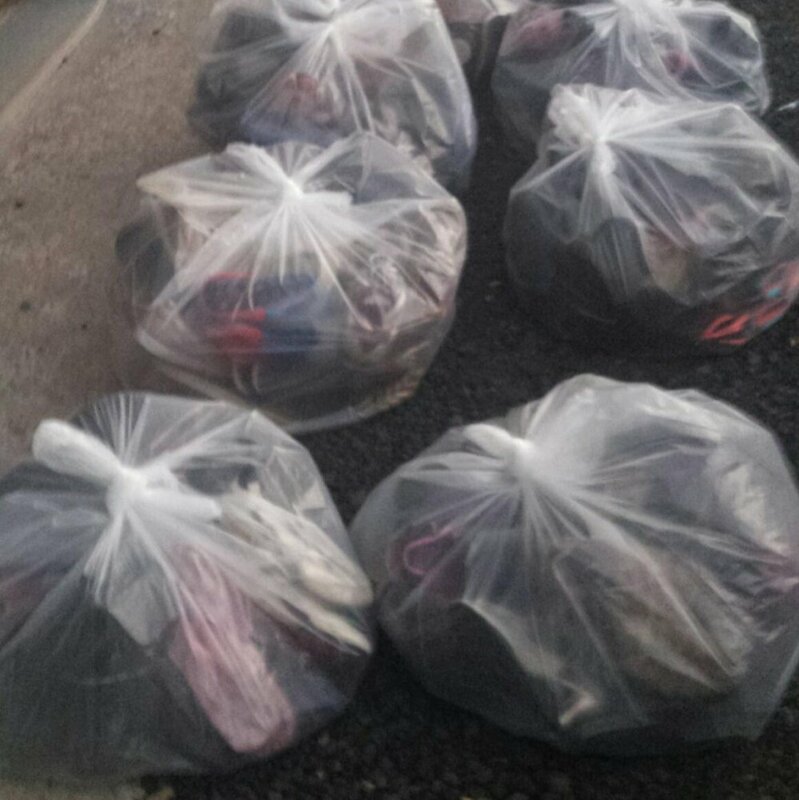 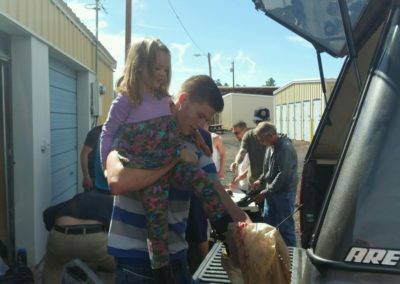 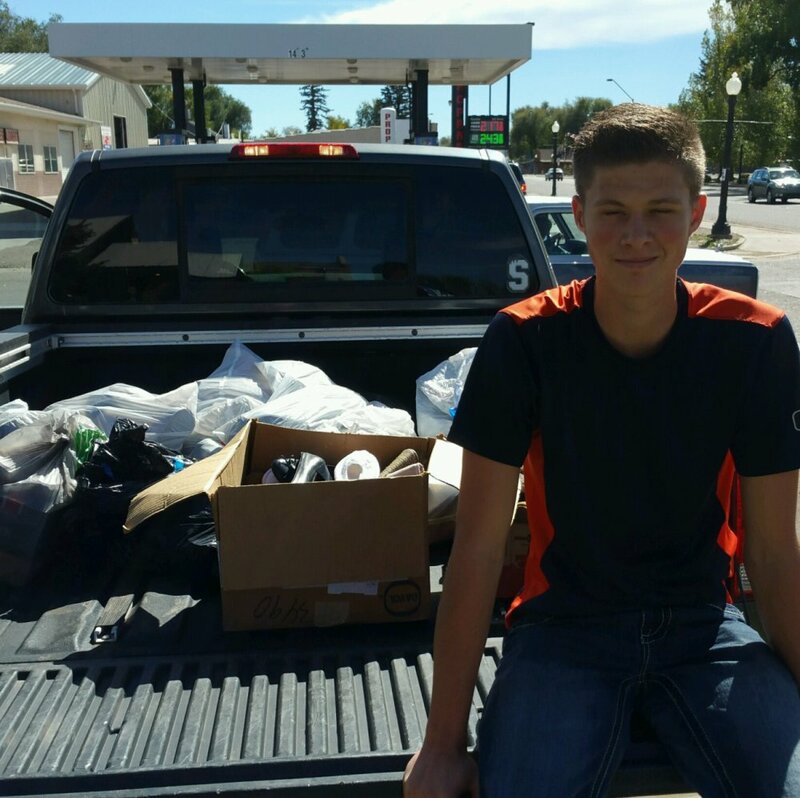 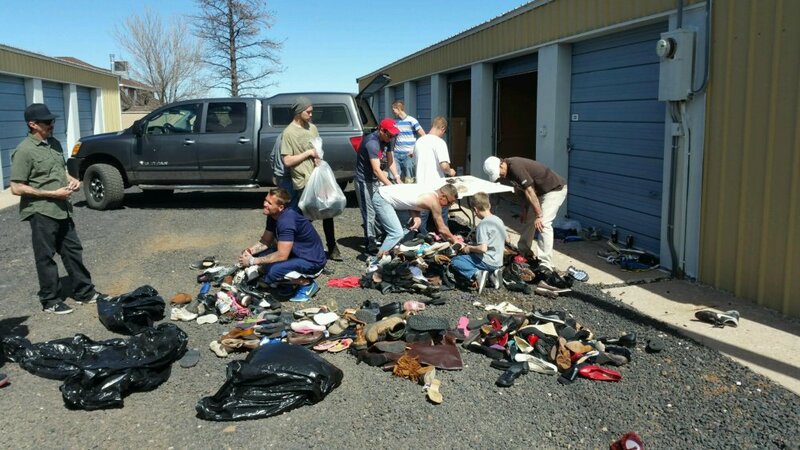 In other words, the youth collect shoes from the community, and then they pair and bag them. 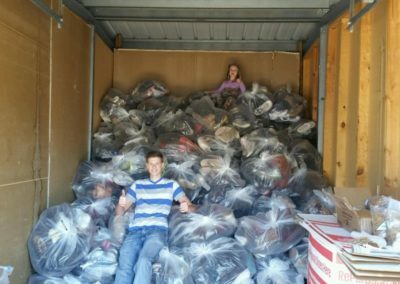 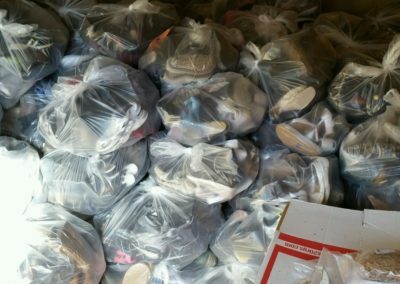 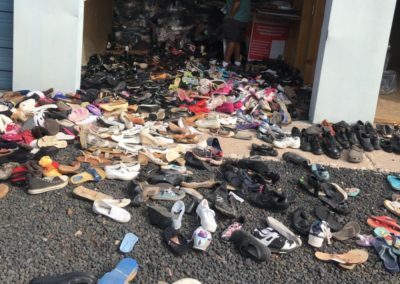 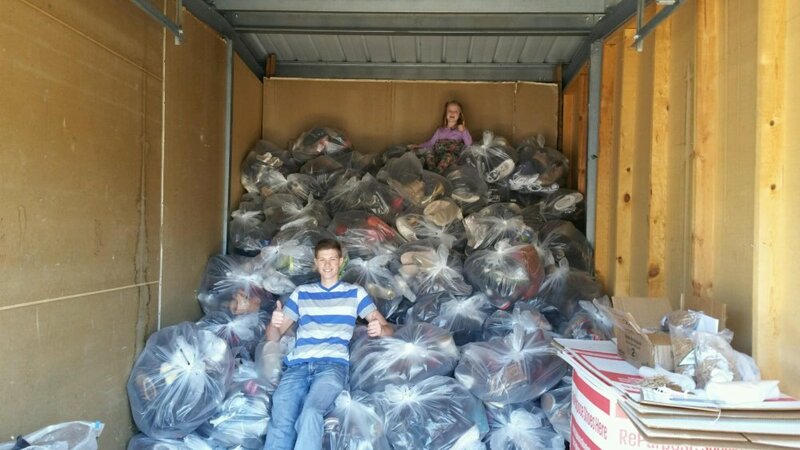 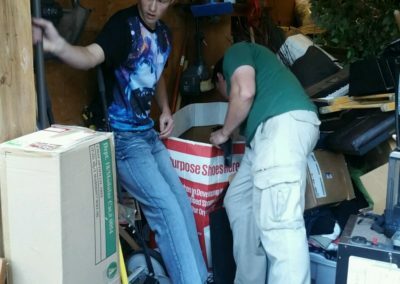 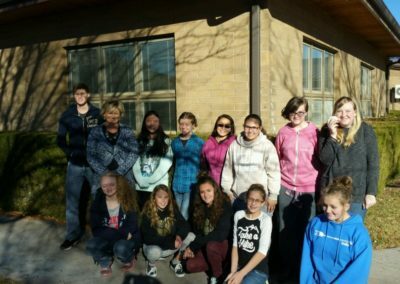 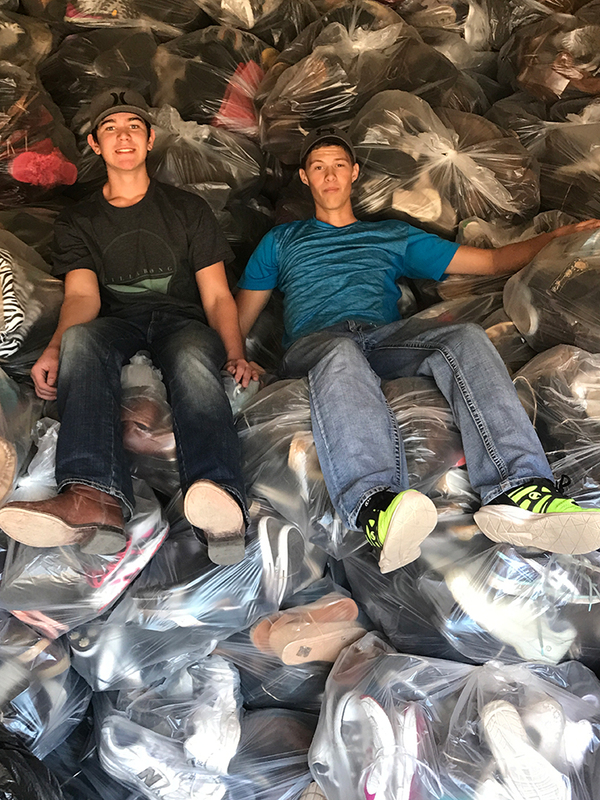 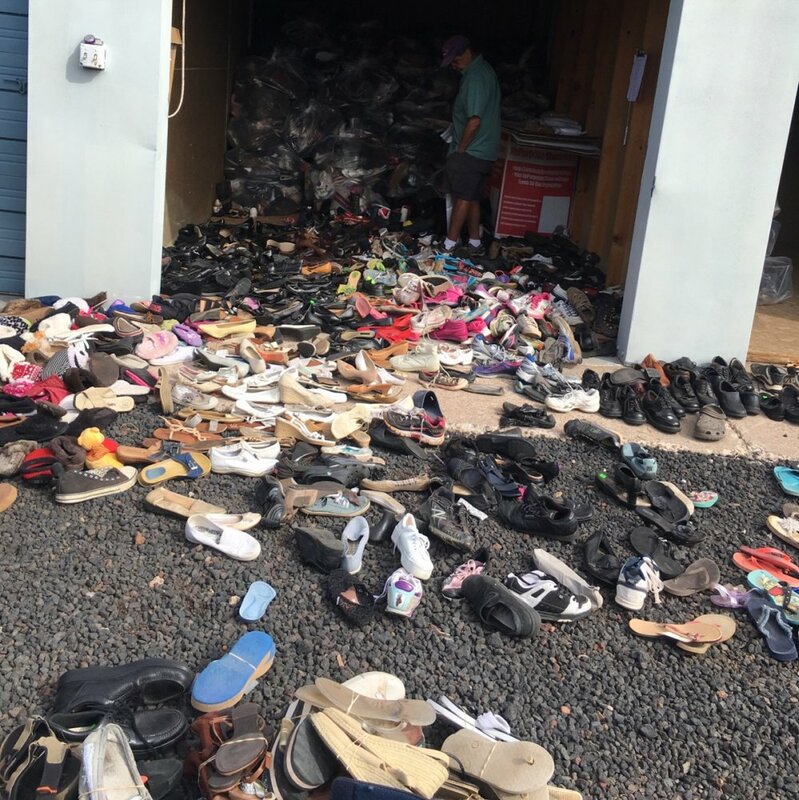 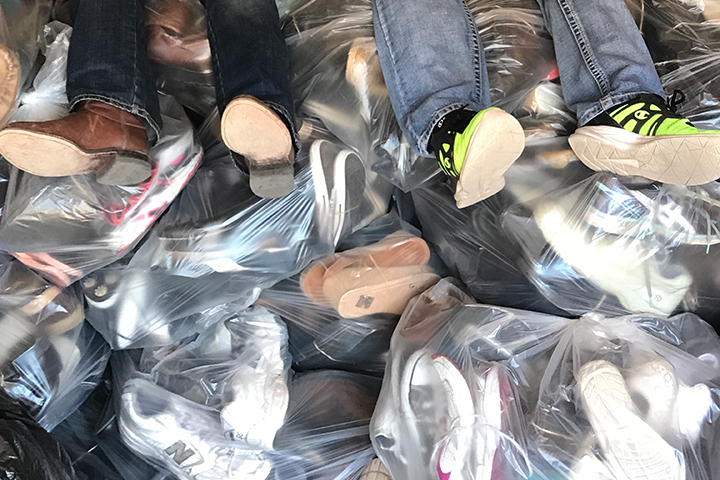 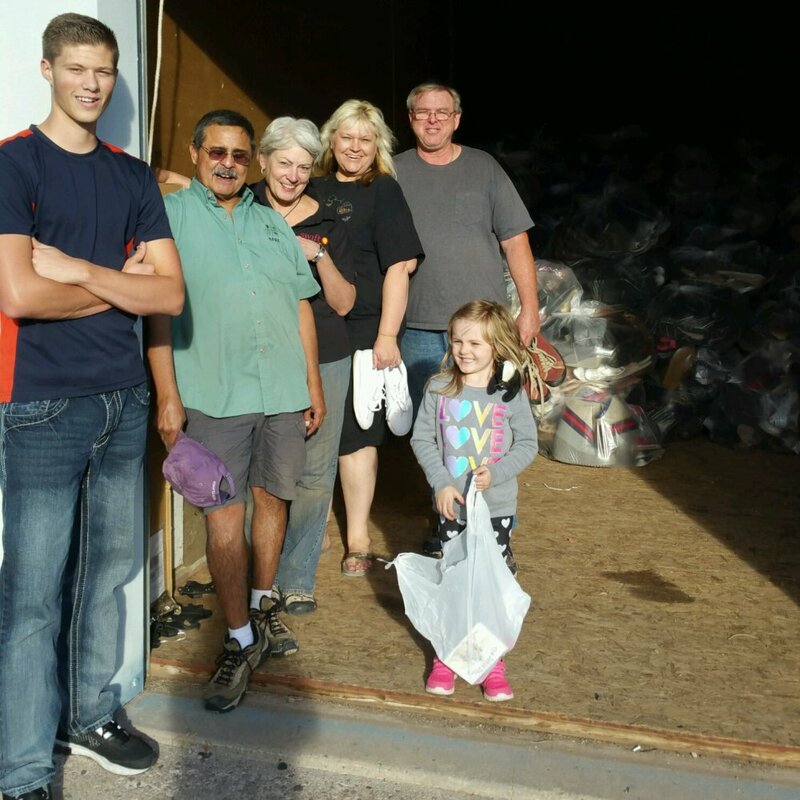 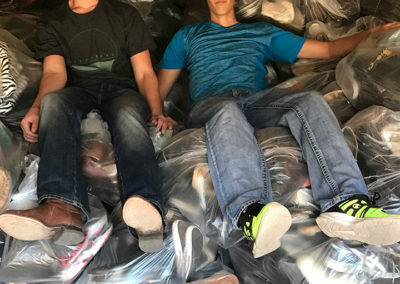 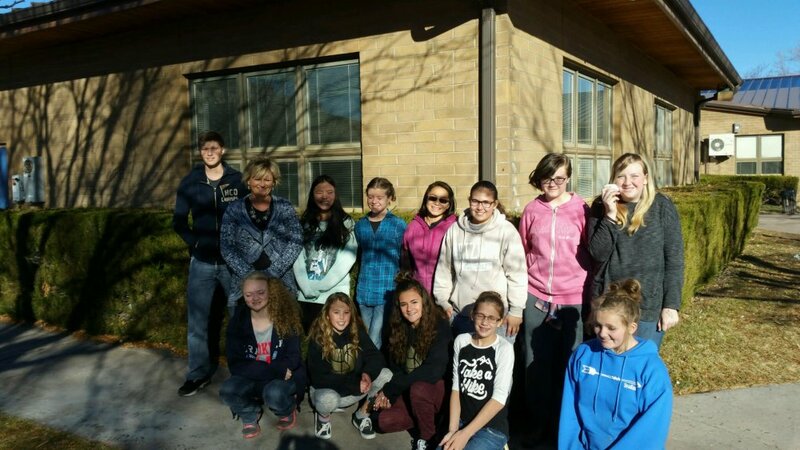 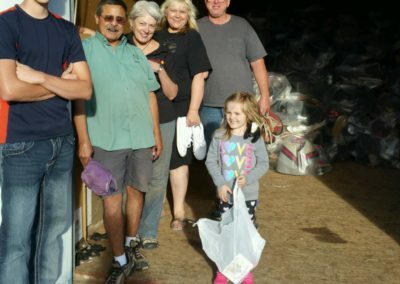 Once they get 300 bags of shoes, the bags are sent to third world countries so that those people can start their own businesses to support themselves and their families. 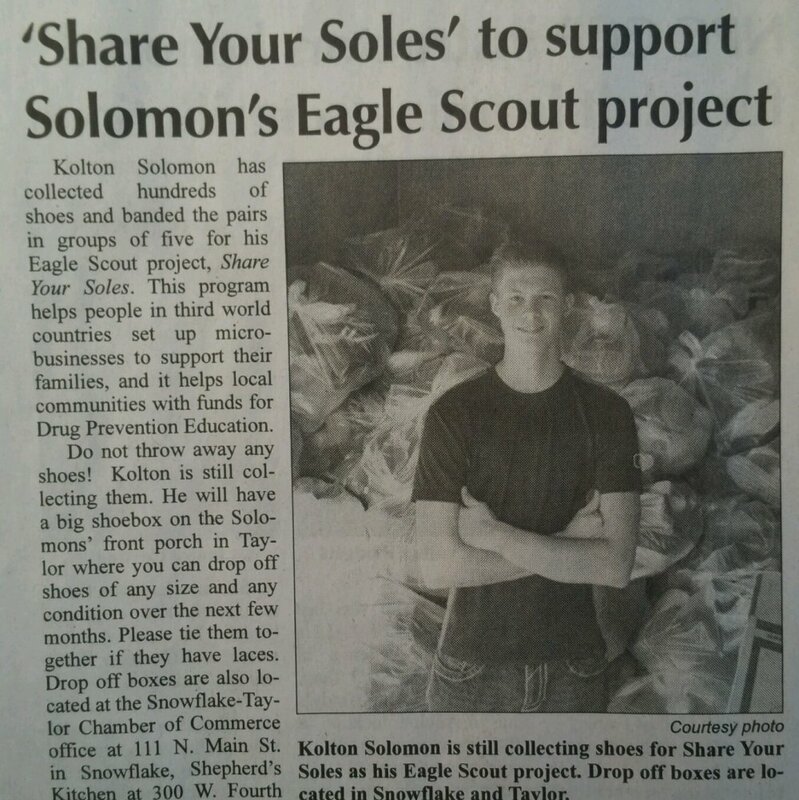 This Shoe Project is what FUNDS our Junior Leadership Academy Program in the summer with no charge to our youth. 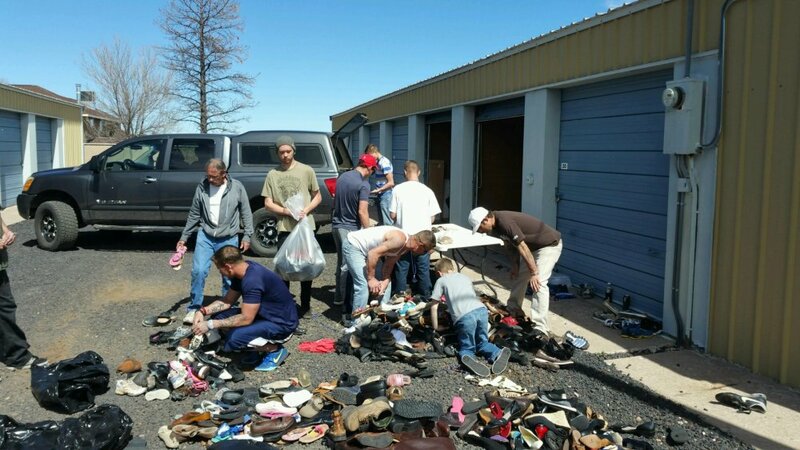 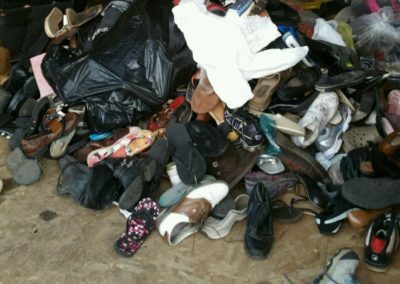 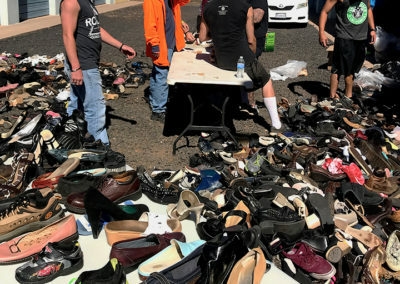 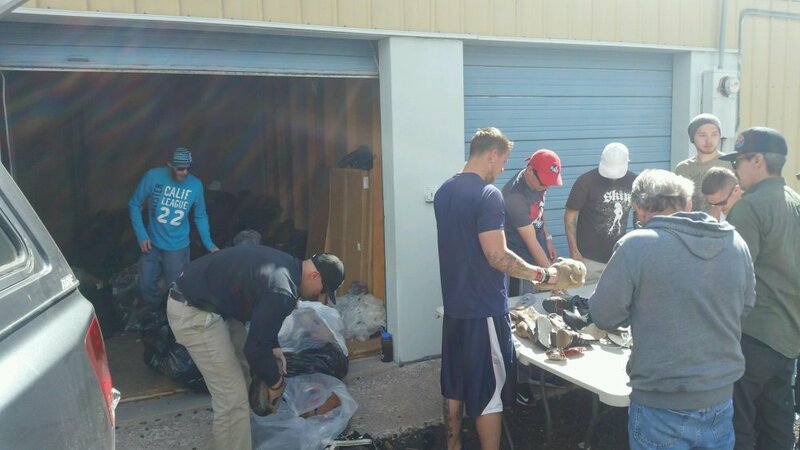 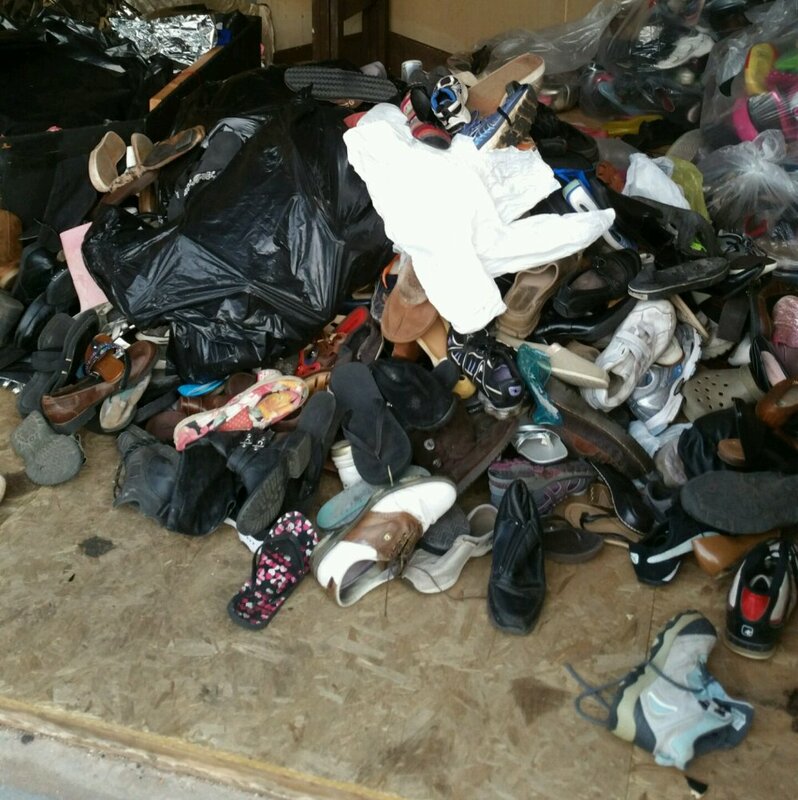 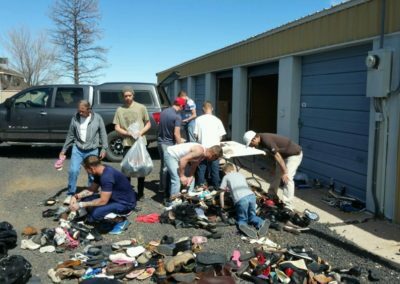 Blue Vase Recovery Center brought 13 people to come help process shoes. 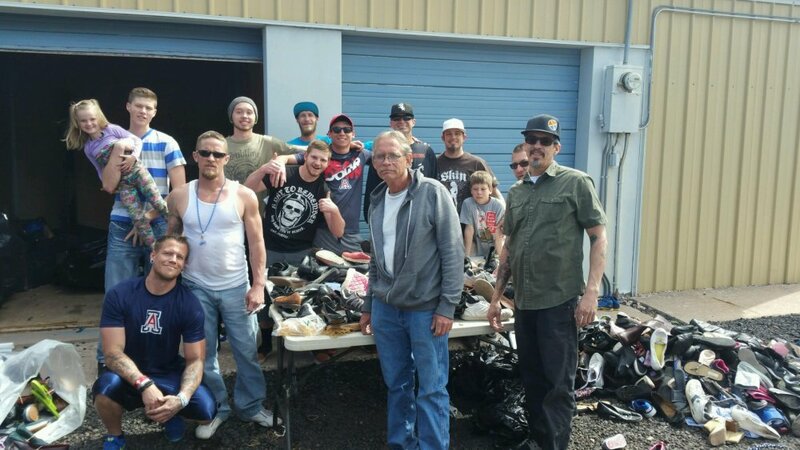 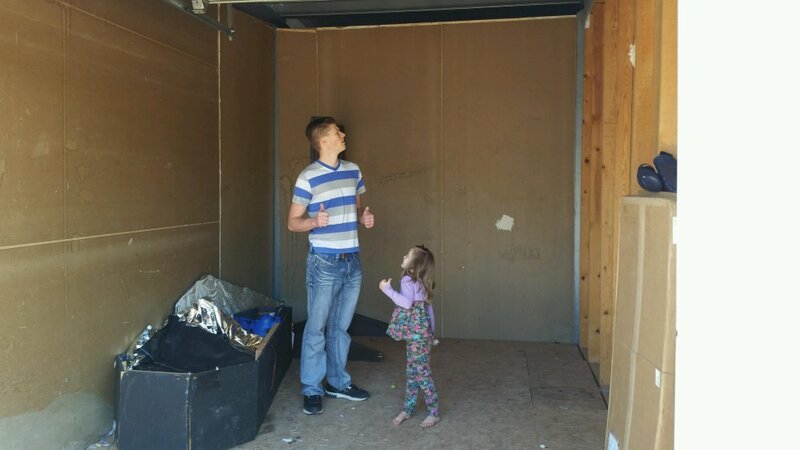 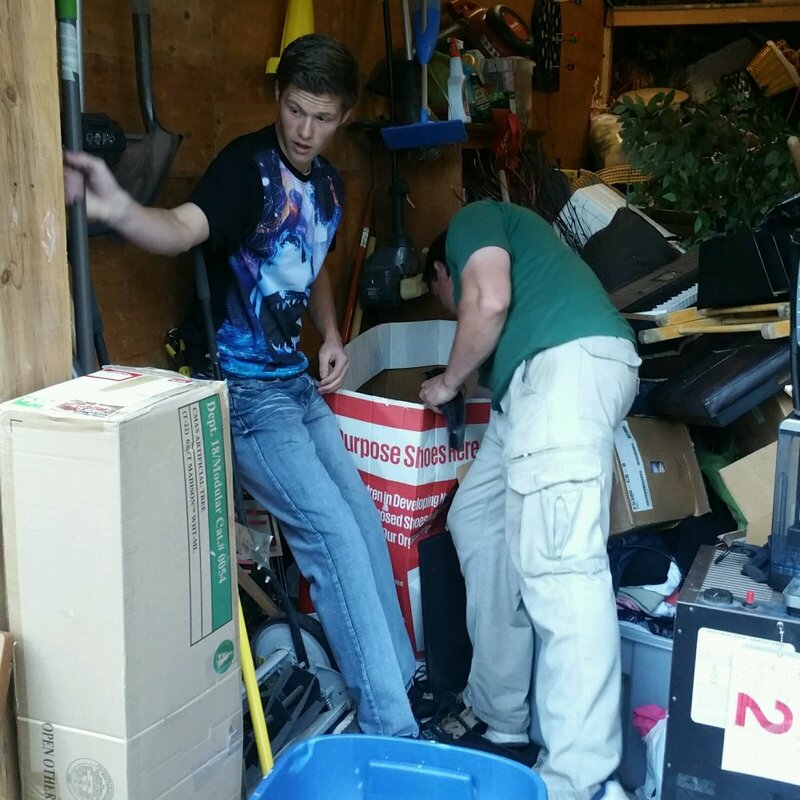 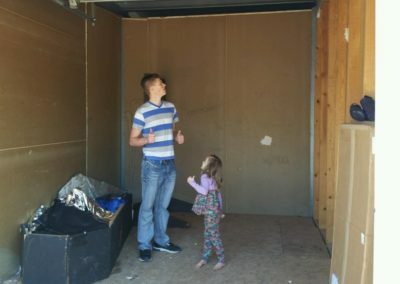 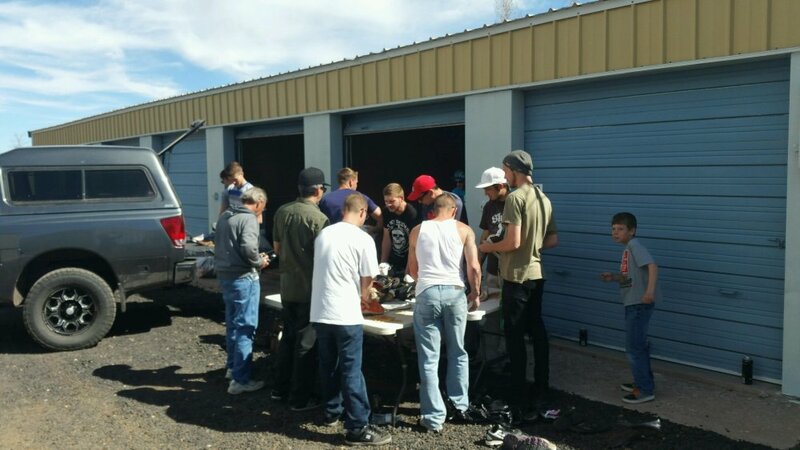 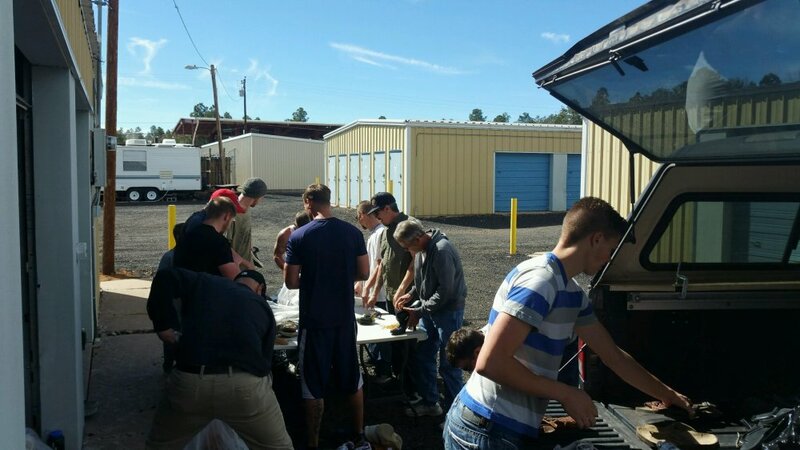 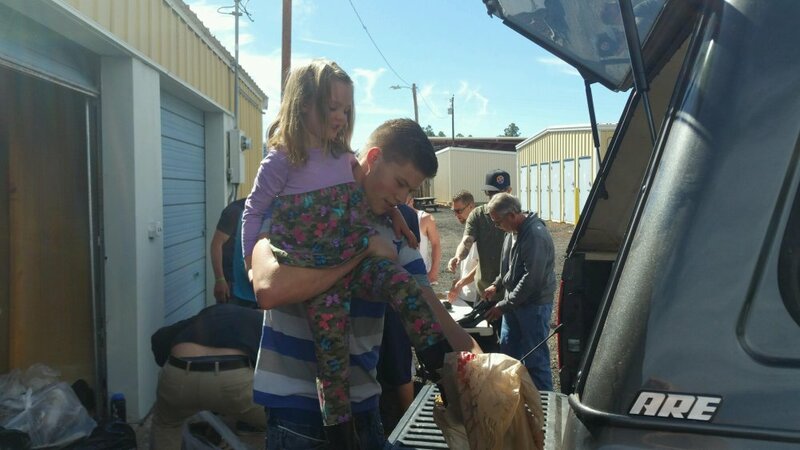 We had 16 people helping today! 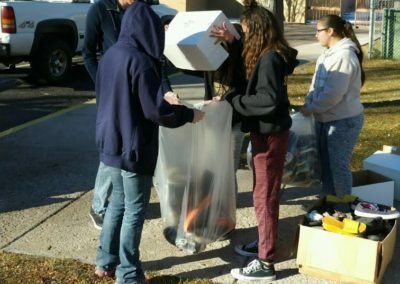 THANK YOU BLUE VASE! 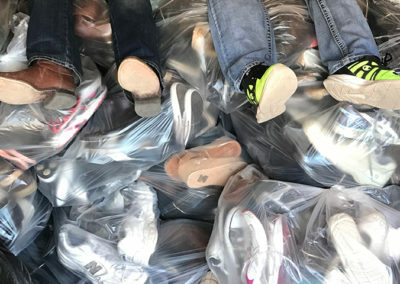 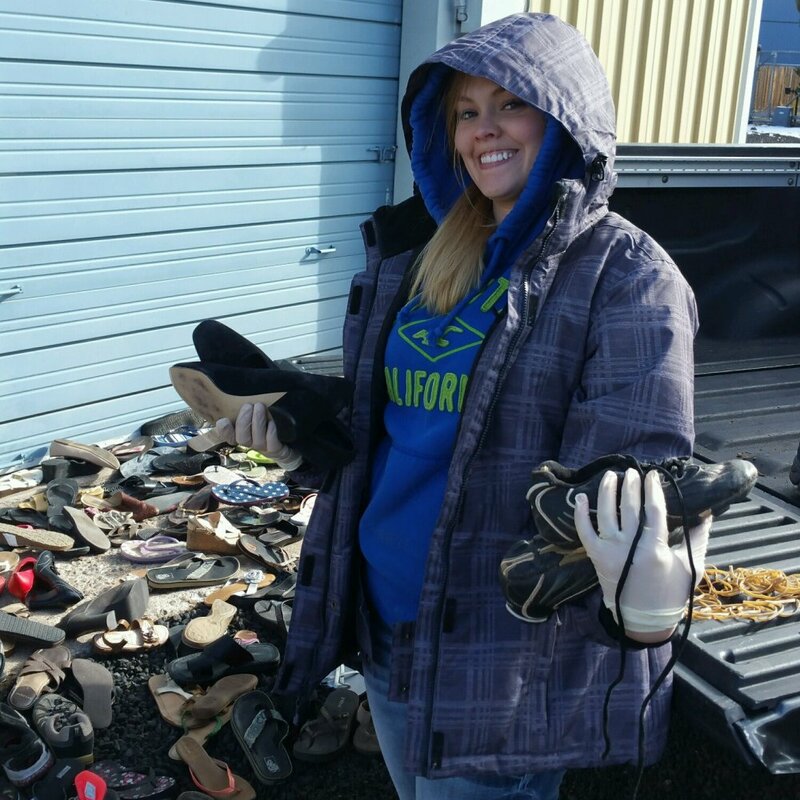 WANT TO VOLUNTEER FOR OUR NEXT SHOE PROJECT?